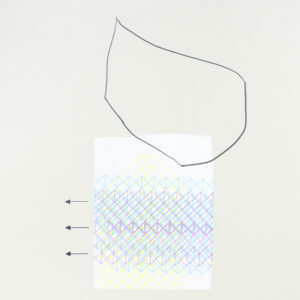 Deadlines for our 2019/2020 Printmaking and Ceramic Artist in Residency applications are due Monday, April 15th. These 12-month residencies offer our resident artists an intensive period of studio practice and outreach development, as well as provide our LAC faculty, staff, and students extended time to learn alongside these phenomenal additions to our community. While we impatiently wait to review our new batch of applicants, we’re reaching out to our AIR alumni, now a year outside of the program, to review their time spent in Lawrence, and experiences within the Arts Center community. 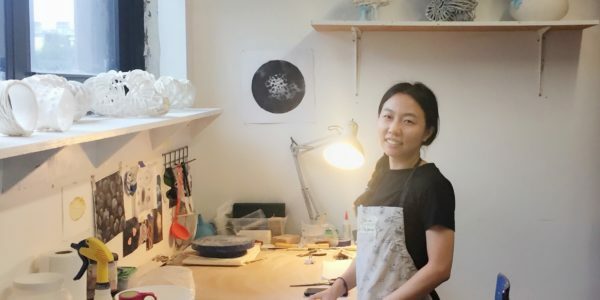 Last week, we visited with 2017/2018 Ceramic Artist in Residence, Shiyuan Xu about her current activities, and the impact that the AIR program has had on her studio practice. This week, we’re celebrating 2017/2018 Printmaking Artist in Residence, Michael Benedetti. 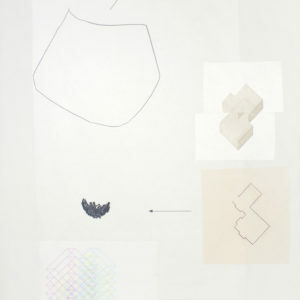 Above: Collage works produced by Michael Benedetti during a residency at Vermont Studio, December 2018. Michael, where are you now? Currently, I live in Minneapolis, MN and work as a fabricator for Target and a Gallery Technician for the University of Minnesota. I focus on my artistic practice when I have time in the evenings or on weekends. I’m looking forward to a six-week residency at Frans Masereel Centrum in Belgium this summer as well as a solo exhibition at Sheridan College in Sheridan, WY this fall. 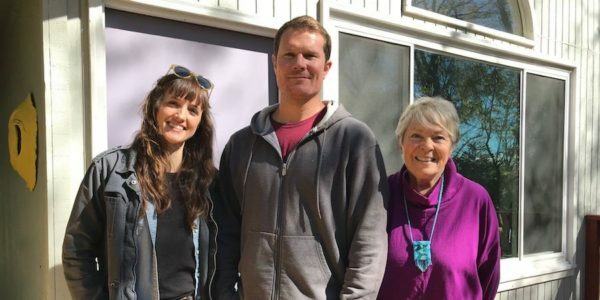 How do you feel the LAC Artist in Residence (AIR) program helped you, in either your artistic practice or in transitioning to your current activities? The LAC AIR program definitely helped me further my artistic practice by providing the time, resources, and support that I needed. 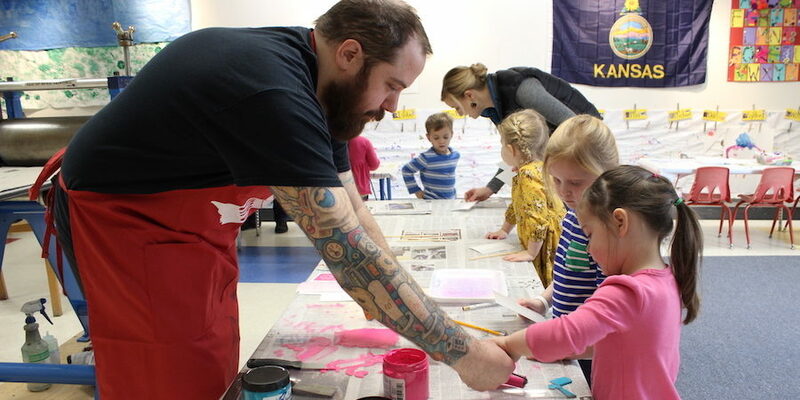 The AIR program is an ideal setting for a teaching artist to develop a new body of work as well as engage with a very energetic, dynamic arts community. The most meaningful experiences I had during my time as the LAC AIR were more about the relationships that I developed rather than distinct singular moments. The close bond I formed with my students and the tremendous friendship that developed with my partner in crime, the Ceramics AIR Shiyuan Xu. Shiyuan and I immediately hit it off and we were, and still are, two sides to the same coin. She would keep me in check and I would always try to make her laugh. Any AIR will quickly realize upon their arrival to the LAC that there are so many great people willing to support you and the arts. Do you have any beneficial takeaways, advice, or things you would like to share with prospective AIR candidates? The best advice I can provide is this: time management. The LAC is such an active place, it is very easy to want to be involved with or find yourself involved with LAC goings-on so the hardest thing I had to do as an AIR was providing myself with a somewhat strict schedule in order to make sure I devoted my full attention and energy to whatever I’m involved with. Be it studio time, teaching, community outreach, artist talks, etc. Always be present and engaged because the community is there to support you and you should be aware of that and take advantage of that support in the best ways. But you also need to know when to close your studio door and be OK with that. We can’t wait to see the projects Shiyuan and Michael will develop in the future! Looking to connect with our current Artists in Residence? 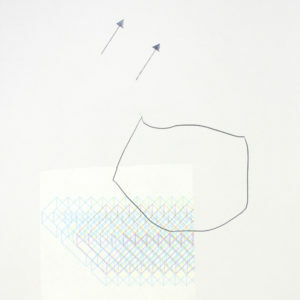 Johanna Winters’ show “Endling” will open on May 31st, with a reception from 5:00 PM to 9:00 PM, and Nate Ditzler’s “Domestic Perseverance” will be on display beginning on June 28th. Interested in applying to our Artist in Residence program? Application for our Printmaking and Ceramics Artist in Residence are open until April 15th. Apply online now through slideroom!